For 10 years we have had the pleasure of hosting Mark as a regular guest. His 3-4x a year stays have built our relationship to a good friend status. Mark’s incredible eye for detail has led to several small but significant changes that have enhanced our B&B hospitality. Knowing Sherry collected teacups, Mark gave her a beautiful cup and saucer from the china set he received from his mother. Displayed in a place of high honor, it was used when Mark came to visit. 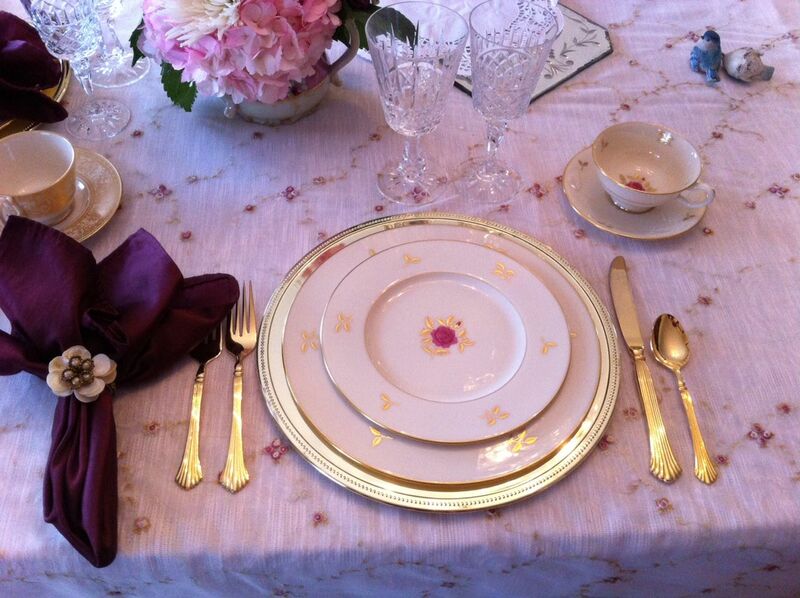 Imagine our surprise when Mark offered the entire Lenox china set to Sherry for Victorian Rose Garden. Now it is a part of our beautiful breakfast table setting.